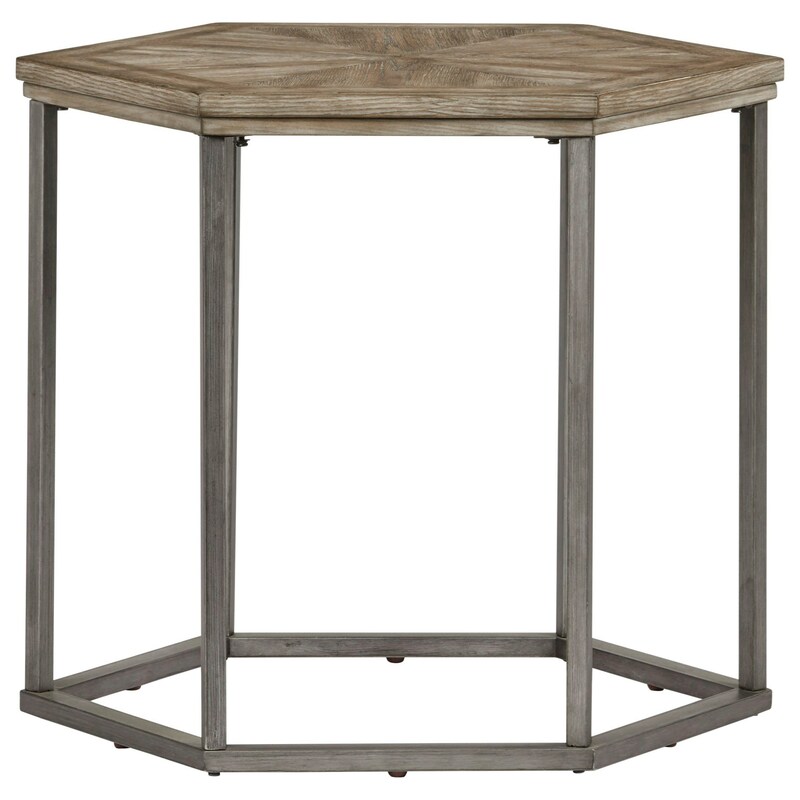 Close-grain ash veneer in an inlaid pattern and a light Ash Blonde finish pairs well with minimal metal frame in a dark gray gunmetal finish on this hexagon shape end table. The unique shape of the table adds visual interest to your decor. 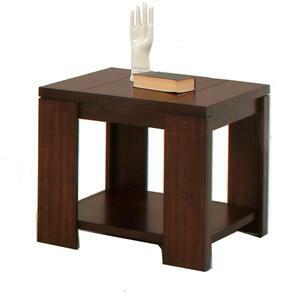 The Adison Cove Ash Veneer Hexagon End Table with Metal Frame by Progressive Furniture at Northeast Factory Direct in the Cleveland, Eastlake, Westlake, Mentor, Medina, Macedonia, Ohio area. Product availability may vary. Contact us for the most current availability on this product. Simple and sophisticated in style, the natural wood tones of the ash complement dark gray gunmetal frames on the accent tables available in this collection. The Adison Cove collection is a great option if you are looking for Transitional furniture in the Cleveland, Eastlake, Westlake, Mentor, Medina, Macedonia, Ohio area. Browse other items in the Adison Cove collection from Northeast Factory Direct in the Cleveland, Eastlake, Westlake, Mentor, Medina, Macedonia, Ohio area.